The Chase Sisters are 2013 NBL Supergrands World Champions! Congrats to the Chase Sisters! 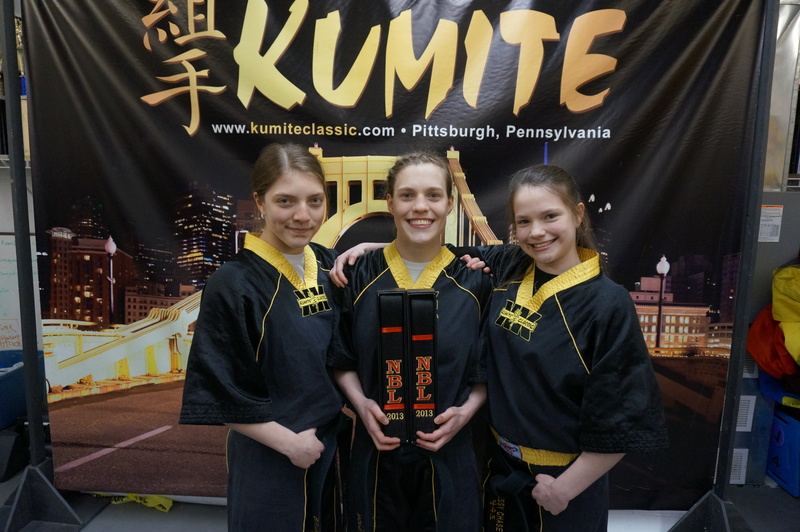 Bess Chase, Hope Chase and Brigid Chase represented Pittsburgh Sport Karate’s all-star Team Kumite at the 2013 World Games aka the NBL Supergrands in Charleston, South Carolina. 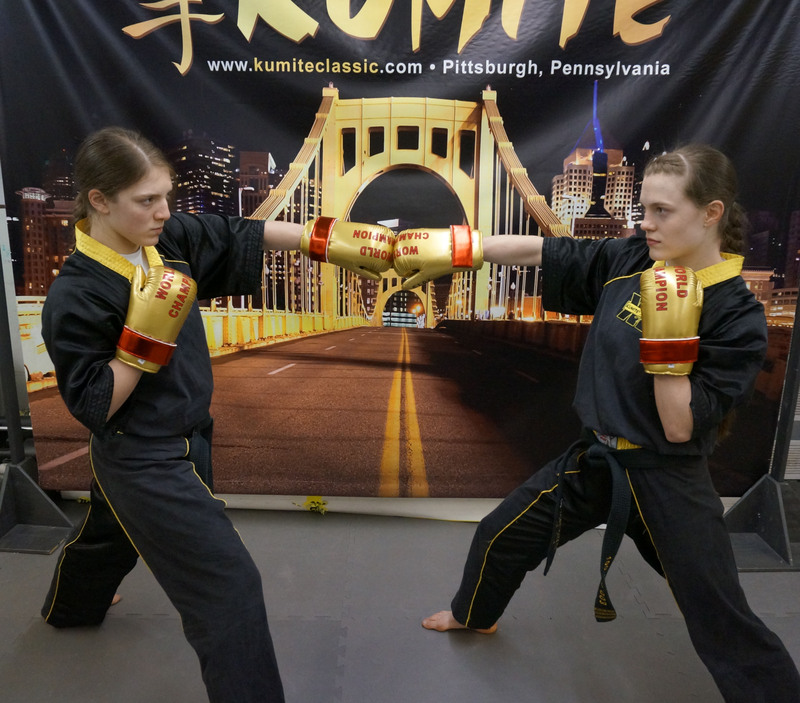 Team Kumite started the week off capturing Jr. Girls team sparring world championship (Sara Russell, Hope Chase, Brigid Chase) beating the defending champions Team Alchemy from Texas and never looked back. At the completion of the week long tournament Hope Chase made history winning to overall grand championship NBL Black & Red belts in the supershow! Way to represent Pittsburgh ladies! Coach Bill Viola stated, “The sisters were on fire. All the hard work paid off.” Parents Peter and Brigid Chase, who own and operate White Viper Karate, couldn’t be prouder!